Kavalai Vendam starring Jiiva and Kajal Agarwal in the lead and directed by Deekay of Yaamirukka Bayamey is all set to hit the screens on October 7th during pooja holidays. Kavalai Vendam is said to be a new age rom-com. Actors like Bobby Simha, Sunaina, RJ Balaji, Mayilsamy and Balasaravanan are playing pivotal roles while the young and talented Leon James heads the music department. "We have a commitment as a production house to the audience to provide them entertainment value in time to time. "Kavalai Vendam" as the title suggest is an apt movie to watch in the holidays. 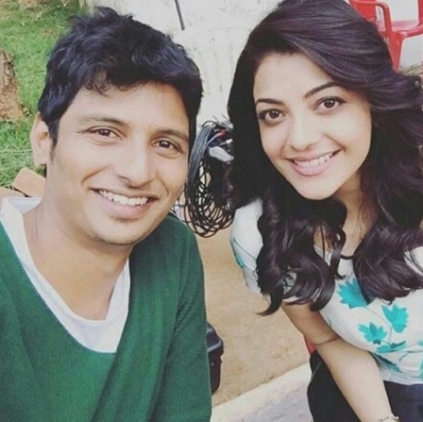 Jiiva and Kajal Agarwal are very vibrant and their screen presence will be a great boost to this film. Director Deekay has dwelled upon few factors that will attract the audience to the screens and sustain their interest too. The amalgamation of talents in the cast and crew list add great value to this feel good entertainer. We are confident of providing a clean slate of entertaining content and feel good factor to the audience who insist on endorsing films that can enhance celebration" says Producer Elred Kumar. Sivakarthikeyan’s Remo will also be releasing on the 7th of October. Looks like a day for romcoms! Where is Rajinikanth now and when is he coming back? People looking for online information on Kavalai Vendam will find this news story useful.